The injuries and losses that follow a car wreck can leave you bankrupt and endanger your future wellbeing. Work with a Logan car accident lawyer and recover the full compensation your recovery requires. Has a car crash left you seriously injured? If so, you have legal rights and can seek financial compensation from the person who was responsible for your wreck. 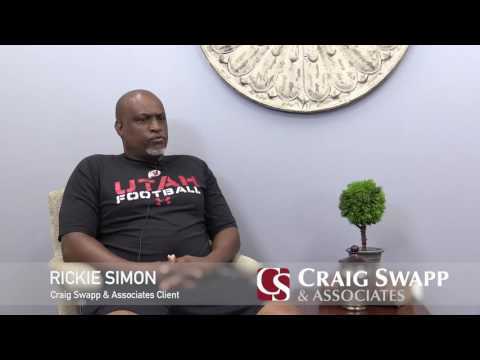 With a Logan car accident lawyer from Craig Swapp & Associates representing you, it is possible to hold the negligent party accountable and recover money for your medical bills, lost income, and all ways your life has been impacted by the accident—both financially and emotionally. To file a personal injury lawsuit, someone else must have been negligent and responsible for the collision. This is possible even if yours was the only vehicle involved. For example, in single-car accidents, sometimes the auto manufacturer is responsible for selling a car with a defective part, and in other cases, a government entity is to blame for not properly maintaining the roads. We can investigate and determine who was at fault. Additionally, you need to have been seriously injured as a direct result of the at-fault party’s negligence. To recover financial damages, you must have been injured and required medical attention. Your Logan car accident lawyer can work with your healthcare providers to assess the value of your claim and build a compelling case that puts you in a strong negotiating position. Our firm can negotiate with the insurance company so that the final compensation you receive covers all of your damages and losses—including your future needs. We will create a demand letter and send it to the at-fault party and insurer. They can then agree to pay, negotiate, or refuse to settle. In most situations, they will negotiate. If an agreeable, comprehensive offer is made, you can accept and collect your settlement. Economic Damages – These damages include tangible expenses with obvious dollar amounts, such as medical bills, transportation costs, lost wages, and other accident-related costs. Non-Economic Damages – These losses cover your lost quality of life, such as pain and suffering, lost companionship, disfigurement, and lost enjoyment of life. Punitive Damages – If the at-fault party was grossly negligent—such as through drunk driving or texting while driving—punitive damages might apply. These funds are awarded to you but intended to punish the negligent party. The at-fault party’s insurance company may try to take advantage of you. Craig Swapp & Associates won’t let that happen. We will be your advocate, protect your rights, and represent you during both negotiations and trial. With our help, you‘ll recover the full compensation you’re legally entitled to. Get the help you need to win your case: Schedule a free consultation with a Logan car accident lawyer today. Get started by completing the form below or by calling 1-800-404-9000.